The SatKing DVBS2-980CA is Australia’s first VAST & Freeview Plus certified satellite TV receiver, making this unit the most advanced VAST receiver on the market. Fully designed in Australia this top of the range receiver brings a new level of features to the VAST platform. 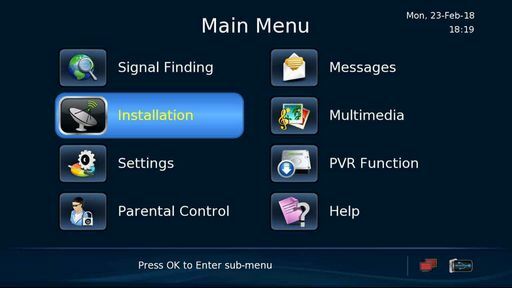 The receiver has Freeview Plus catch up TV and the enhanced Freeview Plus EPG built in. 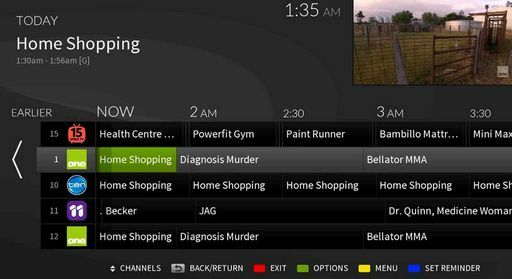 No longer will you miss your favourite programs, you can simply go back in the Freeview Plus program guide and catch up available programs. There are 2x USB ports for you to connect an external hard disk drive (up to 3TB) and take advantage of the twin tuners, you can record two different channels and watch a third program from within a network all at the one time. You can also use the receivers advanced media playback functions to playback movies in AVI, DIVX, MOV, FLV, MKV, MP4 files and pictures via the 2 USB ports. The receiver has all the market leading features you expect from SatKing like compact size, built in signal finder, 12/240V operation, recording series link, learning remote control and low power consumption. All recording functions require an external optional HDD. Catch up TV and the App's portal require an internet connection and data charges may apply. Includes Accessories: 1x Remote with Learning Functions, 1x 12VDC 2Amp Power Pack, 2x 1.5VDC Batteries, 1x 3 RCA to RCA Video & Audio. Our VAST units are supplied with firmware updates completed and fully activated . Just plug it in and enjoy Free to Air Digital TV! Click here for VAST programming information.